Please read this document carefully. 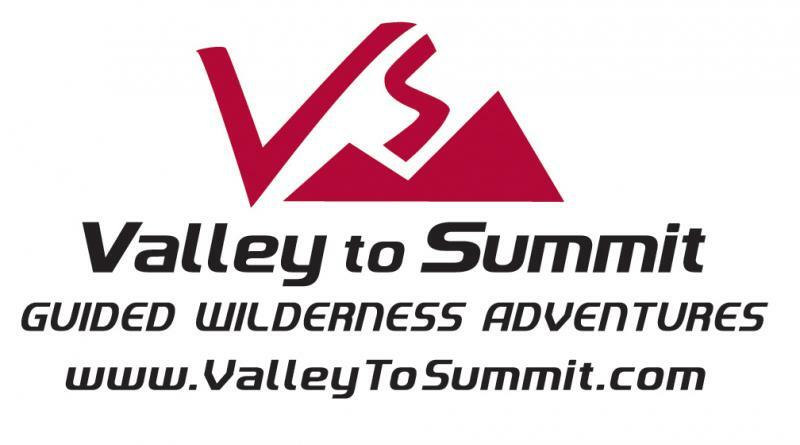 Each participant receives this document and must sign and date it where indicated and return it to Valley to Summit, LLC in advance of the start date of the selected course. PLEASE NOTE: THIS DOCUMENT IS A CONTRACT WITH LEGAL AND BINDING CONSEQUENCES. THIS DOCUMENT REQUESTS THAT YOU WAIVE SUBSTANTIAL LEGAL RIGHTS THAT HAVE ARISEN OR THAT ARISE IN THE FUTURE AGAINST VALLEY TO SUMMIT, LLC AND OTHER INDIVIDUALS AND ENTITIES AS DELINEATED BELOW. VALLEY TO SUMMIT, LLC ENCOURAGES YOU TO ASK QUESTIONS ABOUT THIS DOCUMENT REGARDING ANY UNCERTAINTIES YOU MAY HAVE CONCERNING ITS CONTENT AND SUBSTANCE. YOU ARE PERMITTED TO SEEK THE LEGAL ADVICE OF YOUR OWN ATTORNEY REGARDING THIS DOCUMENT TO ENSURE THAT YOU FULLY UNDERSTAND ITS CONTENT AND SUBSTANCE. 2) I have read and understand the general information about VTS and its trip in the VTS Participant Packet and on VTS’s website: www.ValleyToSummit.com. This information includes VTS’s Admission Policies, Statement Regarding Risk Management at VTS, Enrollment Packet, Essential Eligibility Criteria and other material provided by VTS through other means, such as, for example, electronic transmission, including but not limited to facsimile and email, describing or relating to my program. I acknowledge that the staff of VTS has been available to more fully explain the nature and physical demands of the activities in which I will be engaged, and the inherent and other risks, hazards and dangers associated with this course. 1) I understand and acknowledge that the description of the inherent risks of VTS’s activities set forth above in the section entitled “Activities, Inherent and other Risks” is not complete and that other, including unknown or unanticipated, risks, inherent and otherwise, may result in property loss, injury, illness or death. I acknowledge that my participation in this VTS program is purely voluntary, and I wish to participate in spite of and with knowledge of the inherent and other risks involved. I acknowledge and knowingly, voluntarily, freely and expressly agree and promise to assume the inherent risks described above and all other inherent risks of my VTS activity. In addition, I knowingly, voluntarily, freely and expressly agree and promise to assume ALL risks of enrolling and participating in a VTS program, inherent or otherwise, and whether or not described above. 1) I hereby RELEASE, HOLD HARMLESS, FOREVER DISCHARGE and AGREE NOT TO SUE VTS with respect to any and all claims, causes of action, and damages of whatever kind whatsoever, including, without limitation, general, special compensatory and punitive damages, for loss or damage to person or property, and for physical and/or emotional or other injury, disability, wrongful death, or otherwise, suffered by me arising in whole or in part from my enrollment or participation in any activity of VTS. This Release agreement includes claims, without limitation, of negligence of VTS. This release is meant to act as a complete waiver. 2) I hereby further agree to INDEMNIFY (“indemnify” meaning to defend, and to pay or reimburse, including costs and attorney’s fees) VTS against any and all claims, causes of action, and damages of whatever kind whatsoever, including, without limitation, general, special compensatory and punitive damages, for loss or damage to person or property, and for physical and/or emotional or other injury, disability, wrongful death, or otherwise, asserted or alleged by a member of my family, my estate, a rescuer, another participant, or any other person, personal representative or entity, arising in whole or part from any physical and/or emotional injury or other loss suffered by me or caused by me, in connection with my enrollment or participation in an activity of VTS. Moreover, should VTS or any other person or entity acting on its behalf, be required to incur attorney’s fees and costs to enforce this agreement, I agree to INDEMNIFY and hold them harmless for all such fees and costs.These Indemnification agreements include claims of negligence of VTS. This release is meant to act as a complete waiver. 1) I hereby agree and grant irrevocable permission to VTS to reproduce, encode, store, copy, transmit, publish, post, broadcast, display, publically perform, adapt, edit, exhibit, create derivative works and/or otherwise use and reuse the photographs, videos and/or other images taken of myself in connection with my involvement with a VTS program in any media, including, without limitation, the internet, and for any and all purposes VTS deems appropriate. 2) I hereby WAIVE any right to inspect or approve the final photographs, videos and/or images, including any printed or electronic matter that may be used in conjunction with them, now and at all later times, whether that use is known or unknown to me and I hereby WAIVE any right to royalties or any other compensation arising from or related to the use of the photographs, videos and/or images. I further WAIVE my right to pursue any and all claims, in law, equity or otherwise, arising from or related to VTS’s use of the photographs, videos and/or images. Moreover, I hereby agree to defend, and hold harmless, VTS for any and all publishing and/or distributing of the photographs, videos and/or images, in whole or in part, whether on paper, via electronic media, or on the internet, from and against any and all claims, damages, or liabilities arising from or related to the use of the photographs, videos and/or images, including, but not limited to, any misuse, distortion, blurring, alteration, optical illusion or use in composite form, either intentionally or otherwise, that may occur or be produced in taking, processing, reduction or production of the photographs, videos and/or images, its publication or distribution, by VTS. This Release agreement includes claims of negligence of VTS. 1) I have verified with my physician and other medical professional, or otherwise satisfied VTS, that I have no past or current physical or psychological condition that might affect my participation in the VTS program, other than as described on the Health Form submitted to VTS. I am able to participate without causing harm to myself or to others. The medical information given to VTS is accurate and all pertinent medical conditions have been disclosed. Prior to the commencement of the trip, VTS will be informed of any medical condition that has not been previously disclosed. I understand that VTS’s admission of me to the trip is not intended as a representation that VTS staff will be able to manage successfully a medical event or emergency related to a disclosed, or undisclosed, medical condition. The responsibility for determining a participant’s suitability for a trip is not VTS’s, but rather, the participant’s, guided by family, his or her physician and any other individuals. VTS reserves the right to refuse admission or remove a participant from a trip for any reason it deems in the best interests of the participant, the group and/or VTS. 2) VTS is authorized to obtain and/or provide emergency hospitalization, surgical or other medical care for me. I understand that situations may arise in which third-party medical care is not available and which require VTS staff to provide first aid and possibly more advanced procedures, employing wilderness first responder training and/or wilderness first aid training. VTS retains the right to make final decisions in connection with the medical care provided while on a trip notwithstanding the VTS Medical Advisor. Any third-party medical care provider is authorized to exchange pertinent medical information with VTS. 3) I either have adequate insurance, or in its absence, agree that all costs reasonably associated with medical services, including rescue and/or evacuation, shall be borne by me. I understand that VTS does not provide health insurance, or any other form of insurance, for participants of VTS’s courses. I agree to assume the risk of any medical or physical condition I may have. 1) I acknowledge that VTS may find it necessary to terminate my VTS program and/or activity, whether due to forces of nature, medical necessities, problems in the group or other reasons that VTS, in its discretion, deems prudent. I also acknowledge that VTS may refuse or terminate the participation of any person VTS, in its sole discretion, judges to be incapable of meeting the rigors or requirements of participating in the VTS program and/or activity. I acknowledge and accept VTS’s right to take such actions with respect to me and other participants. 2) Any dispute, controversy or claim arising under, out of or relating to this contract and any subsequent amendments of this contract, including, without limitation, its formation, validity, binding effect, interpretation, performance, breach or termination, as well as non-contractual claims, such as, for example, claims of negligence, gross negligence, recklessness, between me and VTS shall be governed by the substantive laws (not including the law which might require or otherwise provide for the application of the laws of another jurisdiction) of the Commonwealth of Pennsylvania, and any mediation, arbitration or suite shall occur or be filed only in Philadelphia County of the Commonwealth of Pennsylvania. I agree that the place of this release agreement, its situs and forum, shall be Philadelphia County, Pennsylvania, and it is said county and state for all matters whether sounding in contract, tort or otherwise relating to the validity, construction, interpretation, and enforcement of this release agreement be determined. BY SIGNING THIS DOCUMENT, I ACKNOWLEDGE THAT IF ANYONE IS HURT, INCLUDING MYSELF, OR PROPERTY IS DAMAGED DURING MY PARTICIPATION IN THIS ACTIVITY, I MAY BE FOUND BY A COURT OF LAW TO HAVE WAIVED MY RIGHT TO MAINTAIN A LAWSUIT AGAINST VTS ON THE BASIS OF ANY CLAIM FROM WHICH I HAVE RELEASED THEM HEREIN, INCLUDING CLAIMS FOR NEGLIGENCE. I ALSO ACKNOWLEDGE THAT I HAVE FULLY SATISFIED MYSELF AS TO THE NATURE OF THE ACTIVITY OR ACTIVITIES IN WHICH I WILL BE PARTICIPATING, THE RISKS ASSOCIATED WITH EACH SUCH ACTIVITY, AND MY RESPONSIBILITY TO KNOW MY OWN LIMITS. IN THE EVENT OF ILLNESS OR INJURY, CONSENT IS HEREBY GIVEN TO PROVIDE EMERGENCY MEDICAL CARE, HOSPITALIZATION, OR OTHER TREATMENT THAT MAY BECOME NECESSARY AS DESCRIBED ABOVE AND ALL COSTS ASSOCIATED THEREWITH SHALL BE BORNE BY ME. BY SIGNING THIS PARTICIPANT AGREEMENT INCLUDING: A) ASSUMPTION OF RISKS AGREEMENT; B) AGREEMENTS OF RELEASE, WAIVER AND INDEMNITY; C) PHOTOGRAPH AND VIDEO RELEASE AND WAIVER AGREEMENTS; D) MEDICAL AGREEMENT AND RELATED PROVISIONS; AND, E) OTHER PROVISIONS, I ACKNOWLEDGE THAT I HAVE READ IT COMPLETELY AND IN ITS ENTIRETY, FULLY UNDERSTAND IT, AGREE TO BE BOUND BY ITS TERMS AND SIGN IT FREELY, VOLUNTARILY AND KNOWINGLY WITHOUT ANY INDUCEMENT OR FORCE WHATSOEVER. THIS AGREEMENT SHALL BE BINDING UPON ME, MY HEIR(S), ESTATE, EXECUTOR(S) AND ADMINISTRATOR(S) OR OTHER PERSONAL REPRESENTATIVE(S).